5 selection popular souvenirs in Himeji! Souvenirs are indispensable when you go out for business trips or business trips to Japan. There are surely many people who do not know which one to buy from a lot of various souvenirs when visiting Himeji . 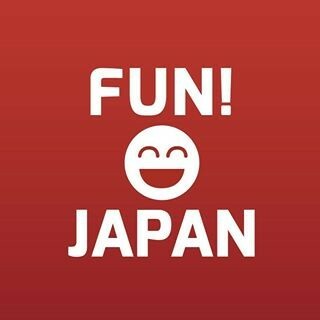 In order to solve that problem, this article will introduce Himeji's souvenir for your important person, family and friends! These souvenirs can be purchased around the station, so it's very convenient! A souvenir you can not stop buying at Himeji! 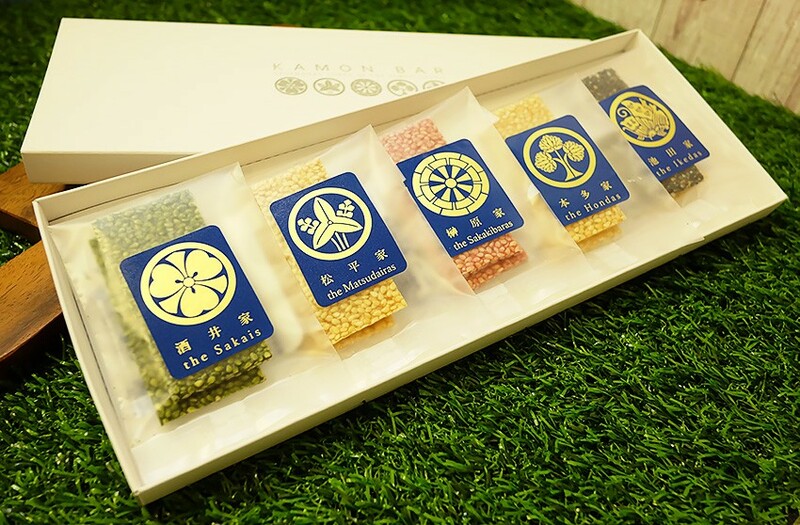 "KAMON BAR /カモンバー, a new product by collaboration of Harima High School students from Hyogo Prefecture and Japanese confectionery shop "Kineya/杵屋". 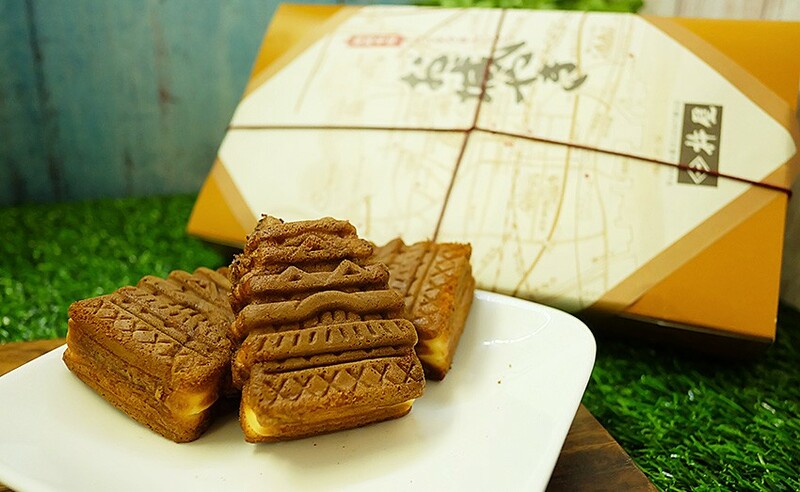 This sweets are made from sesame seeds with syrup, you can taste sweets from inside the cookies. There are five tastes you can enjoy: black sesame, ginger soy sauce, honey, miso and green tea. Also, in the beautiful bag, there is a sticker of five crests of Ikeda family, Honda, Matsudaira, Sakakibara family, Sakai family who were principals of Himeji Castle. 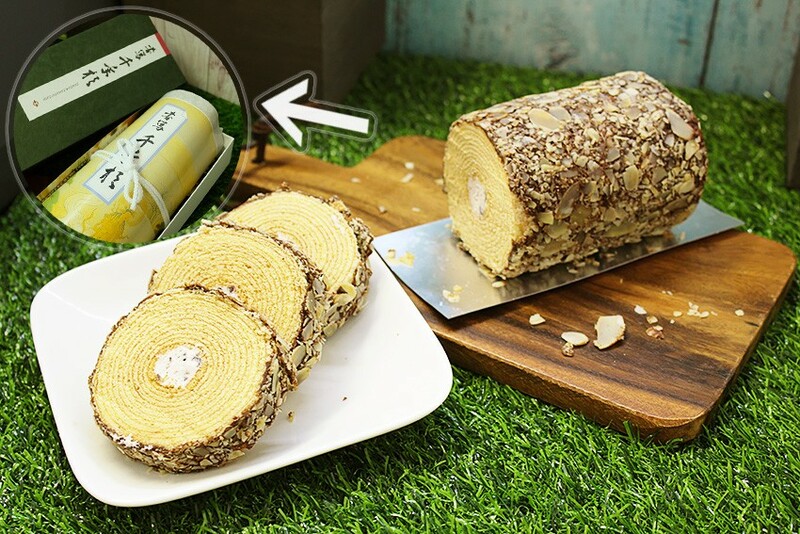 Shosha sen'nensugi is a Baumkuchen with the flavour the almond butter. The topping has a plenty of caramelized roasted almonds, with the shed in rich of Ogura Bean with Yuzu cream. 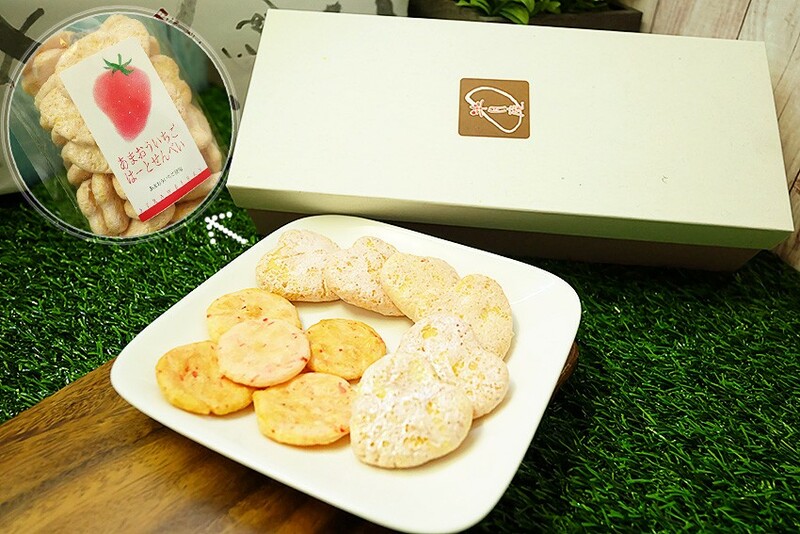 Perfect for everyone, from children to elderly people because it is gentle sweetness and moist texture, Please cut into one piece for having a nice bite! 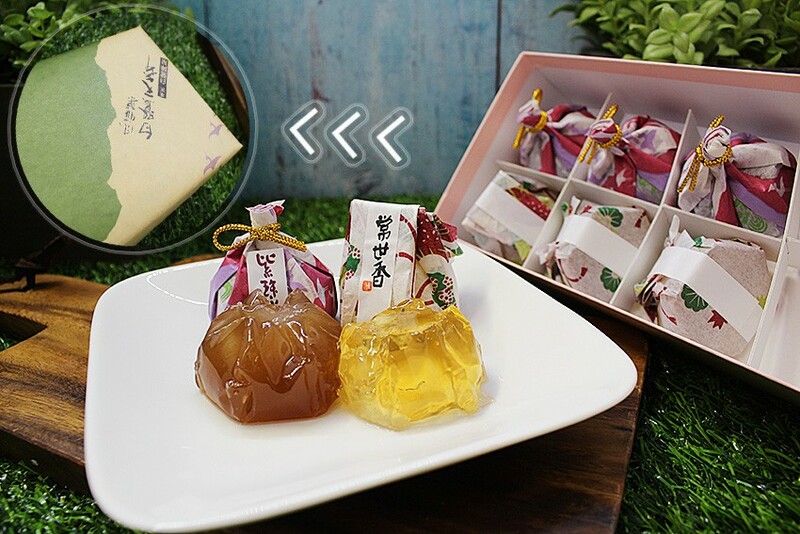 Shirasagi tenbu is a jelly Japanese sweet , with the two kinds of types: "Murasaki Jukō/紫珠光" with the azuki beans paste and "Tokoyo-ka/常世香" with plenty of plums . The sweet taste drifts to the whole jelly, and Murasaki Jukō`s jelly is chewy and has a taste of strong bean paste inside the jelly . The Tokoyo-ka`s one has a refreshing taste like plum. I recommend you to make it as a souvenir since they wrap them very nice and beautifully. This sweet will match perfectly with Matcha! Oshiro yaki /お城やきis a cake with the shape of Himeji Castle with the bean paste in it. Domestic honey is abundantly used in fluffy dough and sweetness is about right. Because it is possible to purchase even from 1 piece, I recommend it to those who would like to enjoy the famous Japanese sweets of Himeji. Don't worry！Even you do not have time,you can buy them in near the station! Iseya Honten has about 300 years history as Japanese-style confectionery shop. Their specialty "Tamatsubaki 玉椿" is shaped like camellia flower as its name. 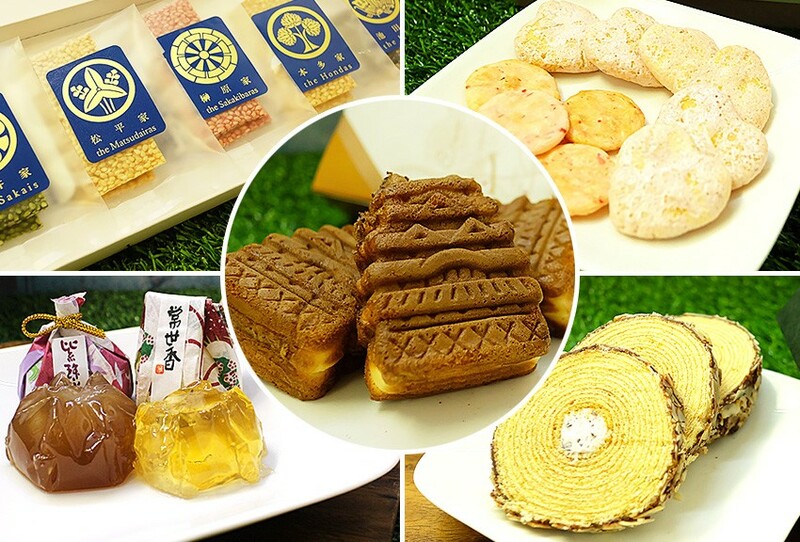 The yellow colored sweet bean paste is wrapped with moist pale pink mochi or rice cake, and is covered with sugar powder.They use rare kind of sweet beans as the ingredient, which produce the rich scent and the elegant sweetness. You can purchase them in department stores, shopping malls or souvenir shops in Himeji. Why don't you try one to feel Himeji's history?